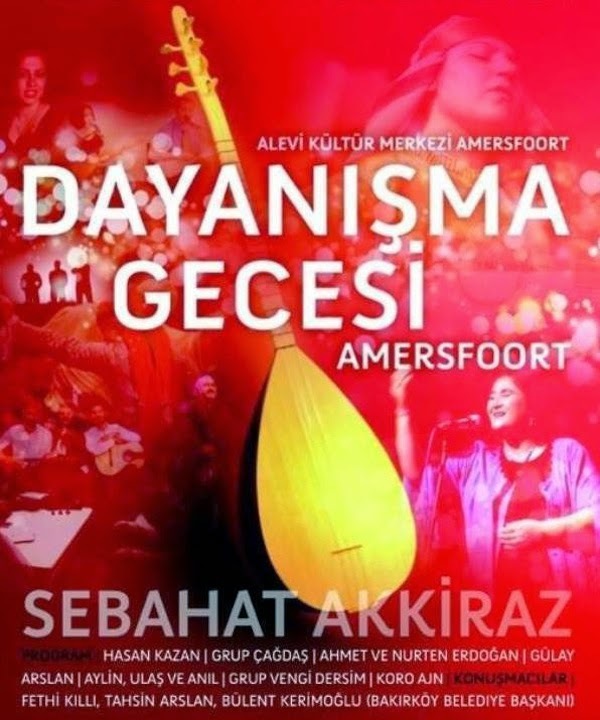 The horrible march of ISIS in Middle East brought Islamophobia back in the Western political agenda but, in my case, that proved to be a quite bitter motivation not to miss the chance to attend a traditional Alevi night, hosted in Amersfoort, The Netherlands. Alevism is a little known branch of Shia Islam which currently consists of the second-largest religious community in Turkey. According to researcher David Zeidan, most of Alevis are ethnic and linguistic Turks and estimations place them somewhere between 15 to 20 million people. If you think that you have heard of them before, please keep in mind that you shouldn't be confused with Alawites, another Shia sect whose elite rules Syria under the Al-Assad family. 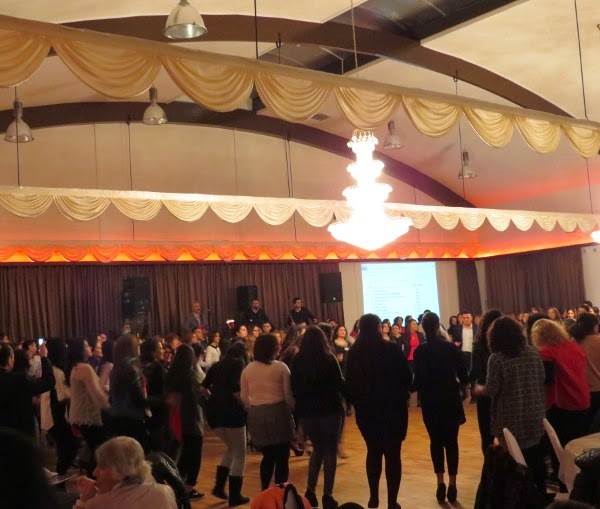 Last Saturday, 6th of December, the Alevi Cultural Association of Amersfoort hosted a "solidarity night", an event which was also part of a fund-raising campaign in favour of the construction of Alevi cemevis in Netherlands. Cemevi is the Alevi place of worship, a building significantly different from a typical mosque. After taking a few steps in the room of the feast, my curiosity was peaked by the desk showed in the following photograph. Soon after I asked for more information, and I learned the hard reality of what it means to be a religious minority in Turkey, a country infamous of its non-tolerance towards minorities of any kind. On 2 July 1993, a mob of extremist Salafists set fire on the Madimak Hotel in Sivas, Turkey where many Alevis were attending a conference of Aziz Nesin, a left-wing Turkish intellectual. The ambush resulted in the killing of 35 people, mostly Alevi intellectuals. The Madimak Hotel eventually became a prominent symbol of the discrimination faced by the Alevi community, which has long asked the state to turn it into a memorial museum. Although their demand is still pending, the Turkish government turned the place into a science museum. Smiling and warmly hospitable, young Alevis proudly talked to me about their distinct culture which has been for years oppressed by the Turkish state. Alevism is not officially recognised in Turkey and that forces Alevi community to cover itself the cost of constructing cemevis, both in their homeland and abroad. Moreover, what I found interesting from my rather biased Western perspective, is the secular character of the Alevi community. As Zeidan explains, Alevi women enjoy a more respected status than that of Sunni women as they do not need to be veiled and are not as segregated, nor fear polygamy or one-sided divorce. However, if I had to pick just a thing that makes Alevi more than proud of their culture, music would be my ultimate choice. Indeed, Alevi artists traditionally used to have a great impact to Turkish folk music and poetry. They introduced me to what they called "saz", a stringed musical instrument almost identical to "bağlama". In my Greek eyes, it also looks like a twin brother of "bouzouki", a similar instrument brought to Greece in the 1900s by immigrants from Asia Minor. Sabahat Akkiraz was the special guest of the night and from the reception she enjoyed from the audience, it was rather easy for a foreigner like me to understand how famous she is. Indeed, Akkiraz is currently more than a famous Alevi singer as she also holds a seat to the Grand National Assembly of Turkey, elected with CHP, the political party, founded by Kemal Ataturk. Having to catch the last train to The Hague, I left the crowded room in the middle of Akkiraz nostalgic performance. However, I still missed the train as I just failed to persuade an Alevi family that there is no reason to drive us home by car. Almost two days after this unique mix-blend experience, I haven't yet made up my mind. Should I be optimistic about the existence of this moderate version of Islam or should I be pessimistic for the lack of respect that they enjoy from the rest of Muslim sects? An awkward dilemma for normal people.